in his hands. Painting by Zhang Lu, ca. 1490-1563. Taoism is a traditional form of thought and religion, based on several central notions, cults, and practices but never subject to systematization as a whole. It is syncretic but at the same time self-contained, in the sense that while it integrates many elements from other Chinese traditionsphilosophical schools, popular religion, and self-cultivation practices, to mention only the main examplesit frequently emphasizes its distinction from them. These basic features underlie different formulations of doctrinal notions and a large variety of practices, ranging from self-cultivation to communal rituals. Historically, the Taoist tradition has consisted of several schools, or rather lineages, usually based on one or more primary texts and associated with historical or legendary "immortals" (xianren) and with divine or semi-divine beings. As a whole, these lineages and corpora have represented the higher but "unofficial" form of native religion in China. This definition points to the complexity of questions that surround the status of Taoism and its relation to Chinese religion and society. Before we look at Taoism itself, it is worthwhile to remind briefly the main questions in this regard. The relation of Taoism to so-called popular religion is extremely complex. Briefly, Taoism has — since its known origins — continuously integrated popular cults, beliefs, and practices. 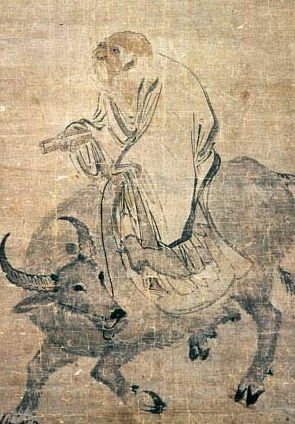 At the same time, the stated purpose of Taoism is "transforming" (hua) people, in the sense of leading them to venerate the pure deities that impersonate the Dao, instead of joining cults defined as "vulgar" (su) or "illicit" (yin), which often included sacrifice and involved performances of spirit-mediums. Within this context, the continuous incorporation of deities and ritual forms, resulting from the interaction of Taoism with local communities and cults, had the purport of admitting the deities into the "correct" (zheng) hierarchy of gods, and of amending the ritual forms by integrating them into the proper way of communicating with the divine world. As has often been noted, the spirit-medium, and not the Confucian officer or the Buddhist monk, was the first competitor of the Taoist priest within local communities. The relation between Taoism and Buddhism has been fertile, with reciprocal borrowings of doctrinal formulations, theological elements, technical terminology, and forms of practice. Although Buddhist polemical authors have often accused Taoists of appropriating Buddhist notions and topoi and even of plagiarizing their scriptures, these disputes have mostly occurred in the surroundings of the imperial court. In that milieu, providing evidence of doctrinal preeminence was more important than highlighting any shared ground in order to gain official patronage. Taoism provided Chinese Buddhism with some of that ground in the early stages of its development, and, in turn, drew from it in later times. For the average person, anyway, Taoist or Buddhist deities could equally be addressed as needed and practicable, and subtle doctrinal distinctions surely were not the main concern. if you hold it, you lose it. The relation of Taoism to Confucianism  meant as the dominating influence behind the system of social norms, upheld by the central government, maintained by local officers, supported by literati, and transmitted through education  has been complex. Classical Confucianism focuses on the social aspects of human life. Taoism is by no means uninterested in these issues, but its views are based on different grounds. For this reason, the contrast between Taoism and Confucianism has primarily involved the social and religious sphere rather than their philosophical views per se. As was noted by Anna Seidel, Taoism is the higher form of Chinese native religion, but it has always occupied a position subordinate to the imperial  that is, official  cults. In the eyes of the Confucian officers, the Taoist priests represented spiritual powers over which they had no control. Replacing the state ceremonies to Heaven and Earth, or to paragons of Confucian virtue, with rituals addressed to the divine personifications of the Dao, performed by Taoist priests, would have granted Taoism an official role in the administration of the empire. For this reason, the Confucian officer and literatus did not hesitate to acknowledge Taoism only in its philosophical, mystical, or literary aspects, but to regard it under other respects as equivalent to common religion.